These companies are doing a heck of a job for clean water! 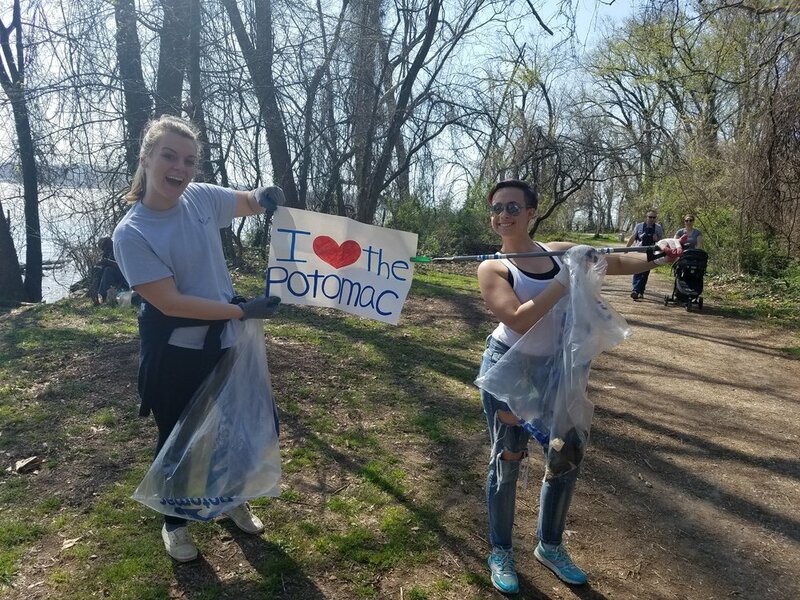 Ever wonder how Potomac Conservancy hosts over 1,000 volunteers and paddlers, collects over 5 tons of trash, plants hundreds of trees, and collects thousands of acorns a year? With a little help from our friends, of course! As a nonprofit organization, Potomac Conservancy depends on the generosity of our members (become one today!) and local businesses to support our mission to make the Potomac a healthy, thriving river. Check out these 7 businesses that are giving back to our local community! Boating in DC and its parent company, Guest Services, operate boat launches in several locations throughout the District. In places like Fletcher’s Cove, Key Bridge, and the Wharf, local residents can easily rent kayaks or stand up paddles and enjoy a memorable experience right on their hometown river. For the third year in a row, MOM’s Organic Market partnered with Potomac Conservancy for some of our biggest volunteer events of the year. Thanks to MOM’s, our volunteers removed 720 pounds of trash from the Potomac’s shorelines and collected 700 pounds of native acorns and seeds for tree plantings. 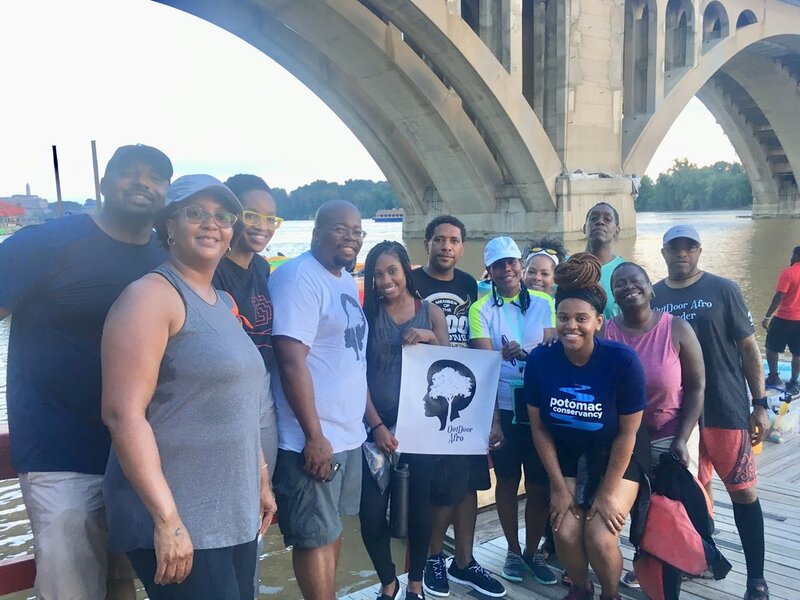 REI supports our Potomac Stewards volunteers throughout the year, from Anacostia Park in Washington, DC to Jones Point Park in Northern Virginia. In all, 1,060 Potomac Stewards volunteers removed 22,000 pounds of trash from polluting local rivers and streams. Northrop Grumman supports all of our Community Conservation events throughout the year, from seed collections to tree plantings and trash removals. We couldn’t do it without them. And here’s the best part, they’ve been our steadfast partner for 8 years! This year, we celebrated the annual Potomac Cleanup Day with Great Lakes Brewing, Co. and dozens of volunteers at Jones Point Park. Located on the shorelines of Alexandria, the park was teeming with neighbors who came out to scour its shorelines for plastic bottles, tires, and Styrofoam. Together, volunteers removed 3,090 pounds of litter from the park, making it a safe place for hiking, running, fishing, and family picnics. To make the day even more fun, Great Lakes Brewing Co., hosted volunteers for an after-party at a local tavern. We can raise our glass to that! In a new partnership, Northwest Federal Credit Union is donating $2 to their Community Partners for every free rewards Kasasa Cash® or Kasasa Cash Back® checking account opened September through November 2018. Their donations will directly support the Conservancy’s local clean water initiatives. Potomac Conservancy’s Alternative Happy Hour Paddles are our signature summer eve. This year, 515 paddlers took to the water from the docks at Key Bridge Boathouse. These paddles wouldn’t be possible without our special partners CoStar Group, Pepco, and Exelon Company. In fact CoStar Group also supported cleanups at Theodore Roosevelt Island and Gravelly Point. Thanks to them, 3,100 pounds of trash was removed from the Potomac’s shores. Thank you! You’ll receive our next monthly River Update email. In it, you’ll find the latest river news, wildlife stories, and fun outdoor events. 100% Privacy. We don’t spam or share your information. The Potomac Gorge is one of the most ecologically diverse regions in the country, home to over 1,000 species of animals. Unfortunately, litter is a huge threat to our local critters that call the Potomac River home. Discover 5 types of trash that pose the biggest risk to local wildlife.